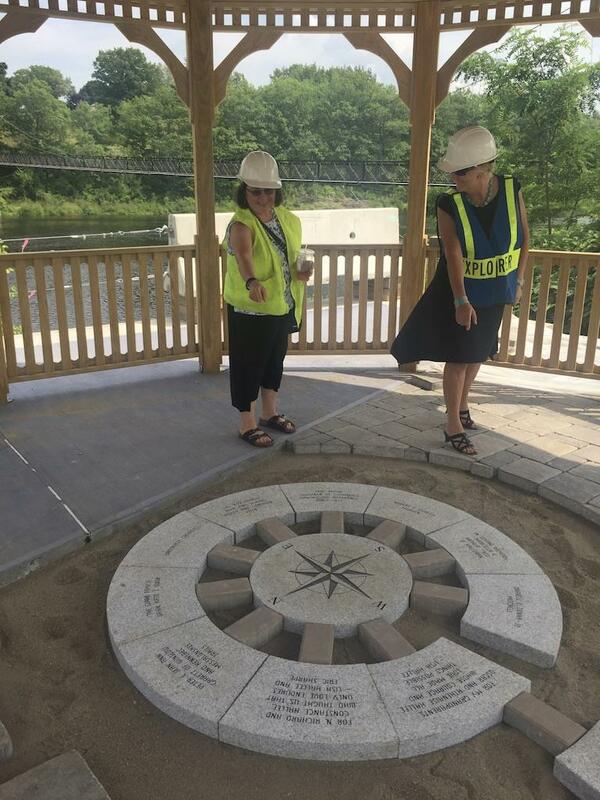 Recently a group of Rotarians on the City of Waterville's RiverWalk Committee took a tour of the construction zone at Head of Falls -- progress is coming along very nicely! The pavers are being installed and look beautiful - especially in the Gazebo area, where the compass is situated. Planning for the October 6th Ribbon Cutting with the Honorable George Mitchell will begin soon and as soon as we have a schedule we'll announce it to Rotary and the world! For now, mark your calendars -- October 6th is going to be an all-day affair for many of us!